We are coming upon the day, now, when the new book drops. VOLK: A Novel of Radiant Abomination is slated to hit bookstores and mailboxes of those who pre-ordered August 22. And we have been busy, fixing typos and checking translations (this is the kind of book that has translations in it) and laying out pages. We have also been putting the manuscript in front of others, in hopes that they might like it enough to talk about it in blurbs. It has been trickier doing this for VOLK than it is with most books, because VOLK is a sequel, to my first book EUTOPIA: A Novel of Terrible Optimism. So it's best to read the one before the other. And the odds that one writer will like two books is somewhat lower than the odds that a writer will like just one. 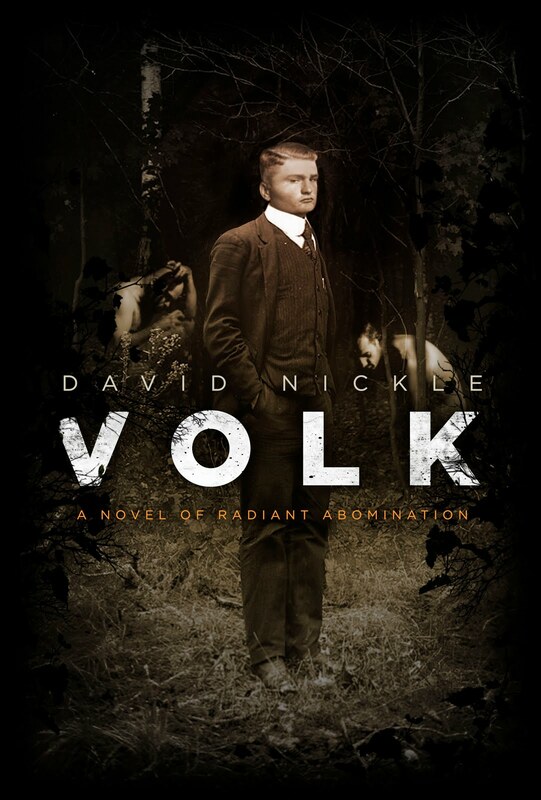 "David Nickle's compelling Volk extends and expands upon his Eutopia: A Novel of Terrible Optimism. In elegant, engaging prose, Nickle explores the darker highways and byways of the middle decades of the last century, when science joined hands with frightening ideology. It's the latest contribution to what is emerging as one of the truly substantial bodies of weird fiction in the early twenty-first century, and further cements David Nickle's reputation as one of the leaders of his generation of writers." "David Nickle's sequel to his eugenicist novel Eutopia switches the action to 1930s Europe, but jumping to a different continent doesn't mean the gruesome horror is about to diminish. Volk is a worthy book with plenty of secrets to unravel. "David Nickle's distinctive mastery of voluptuous horror makes for a sequel every bit as enthralling and disturbing as Eutopia."